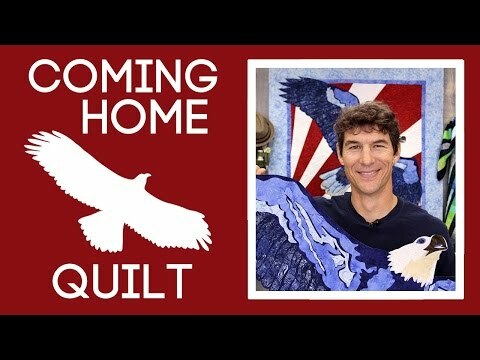 Man Sewing Coming Home Quilt Pattern - Rob Appell - Missouri Star Quilt Co.
A fun project that benefits 'Operation Homefront' with 10% of the proceeds from this pattern being donated to the cause. Rob from Man Sewing walks us through his fun appliqué project with a detailed pattern and two to-scale appliqué inserts. This is a great patriotic project and a fantastic way to try out your appliqué skills.